Making a successful movie involves much more things than just having a good story, actors and team. marketing has become an important part work for making audience curious to watch the movie. Ranbir Kapoor starrer Sanju has been breaking records on box office from the very first day of its release and innovative marketing is one main reason for this. We don’t take anything away from the hard work of actors and production team but creating a blockbuster movie includes massive marketing knowledge. 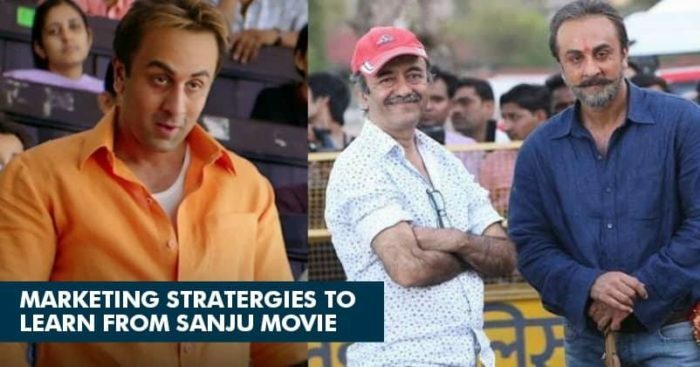 Sanju crossed the Rs 100 crore mark within the first 3 days and in this article we are trying to put some light on the campaigns and brand associations used by Sanju which made the public to fall in love with the story of Sanjay Dutt. Teasers have become the latest trend for creating a hype in the audience regarding a movie and Sanju did this in the perfect way. The teasers, posters, trailer of the movie received huge response, the teaser was launched on Hotstar during the IPL season. It got over 30 million views in two days and the teaser. Different looks of Ranbir’s character were released in the week leading upto the trailer. The trailer of Sanju has more than 56 million views on YouTube. Also Read: Padman Challenge: A Good Marketing Strategy Or Not? 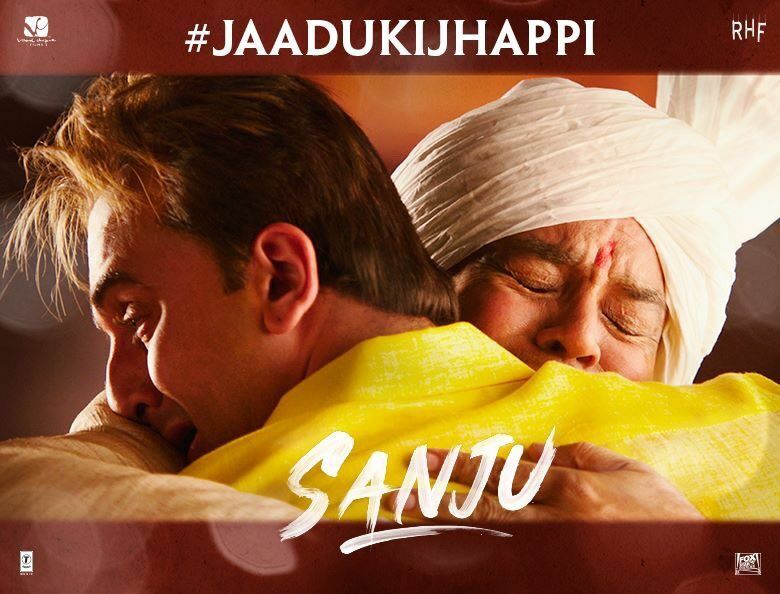 The #JaaduKiJhappi campaign on Father’s Day showed the iconic Munna Bhai jhappi scene of Sunil Dutt and Sanjay Dutt was recreated by Ranbir Kapoor and Paresh Rawal. The video was trending on number 1 position on YouTube for more than 48 hours and over 1 lac conversations were seen across social media platforms on Father’s day. This helped audience to connect more with the movie and increased the despiration to watch the movie. A scene from this movie showing Ranbir Kapoor and Paresh Rawal singing songs was shown like a 30 seconds advertisement of Saregama Caravaan brand. Games are the best way of engaging social media users and Sanju came up with Spin The Wheel contest in which users were given a chance to win cashback on tickets and autographed posters. 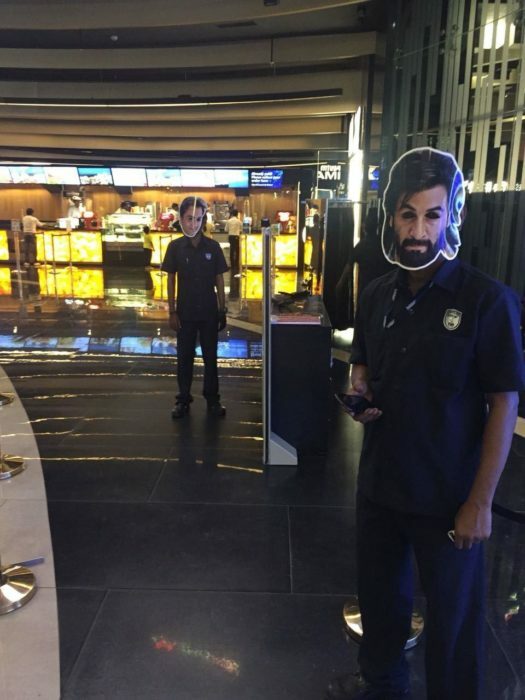 For the promotion of Sanju, the producers of Sanju associated with INOX for which guards and service staffs across several INOX cinemas were seen wearing Sanju mask. Also Read: Veere Di Wedding: More Of An Ad Campaign Than A Bollywood Film? A video shot using a Redmi Note 5 Pro featuring Ranbir Kapoor and Rajkumar Hirani was released on the official Fox Star Hindi YouTube account. Sanju also joined hands with brands like BookMyShow, PVR, and Bollywood Hungama. Other marketers should learn from Sanju and use engaging activities instead of following the similar trends.